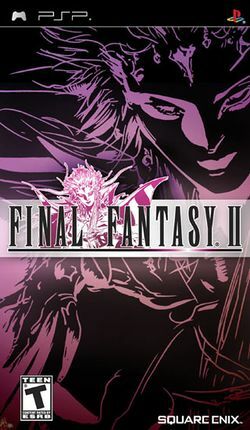 Final Fantasy II Anniversary Edition is the fourth release of Final Fantasy II, this time for the PlayStation Portable and iPhone. Like Final Fantasy Origins and Dawn of Souls, it contains enhanced graphics, but also contains extra dungeons. Unlike the previous three remakes, Anniversary Edition is not bundled with Final Fantasy. A new dungeon, the Arcane Labyrinth. Note that the dungeon created for Dawn of Souls - the Soul of Rebirth - remains. This page was last edited on 2 February 2013, at 22:02.